The gathering of angora goats on the way down to Willowmore. When Michelle Obama wore a designer cardigan made of mohair from a Karoo farm in the Camdeboo district, the news item made fashion headlines around the world. Movie stars and talk show hosts gushed over mohair, which now has the cachet of cashmere and silk, regularly seen on the world’s catwalks. With more than 668 000 angora goats, South Africa produces an annual clip of nearly 2.3 million kilograms – around half the world’s mohair. 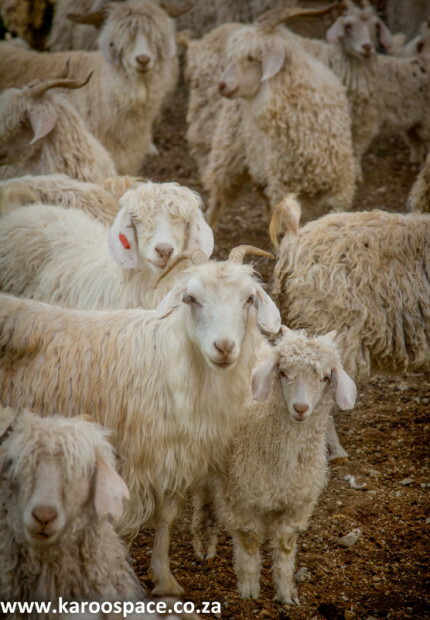 The source of mohair – this angora goat flock lives in the Middelburg area. 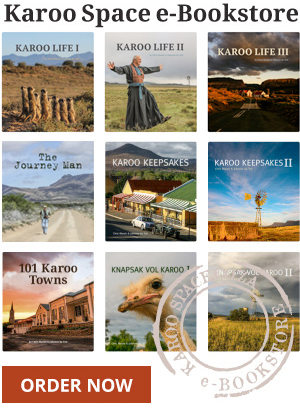 The vast majority of that comes from the Eastern Cape Karoo. Jansenville is home to the only mohair museum in the world. Most of this sumptuous fibre goes to the textile weavers and fashion houses of Italy, but a fair amount stays at home too, and is transformed into blankets, carpets, scarves and some of the finest socks ever to grace a human foot. Sheep and goats way outnumber humans in this arid land; there are at least 4.2 million wool-producing sheep here, and something under a million people. 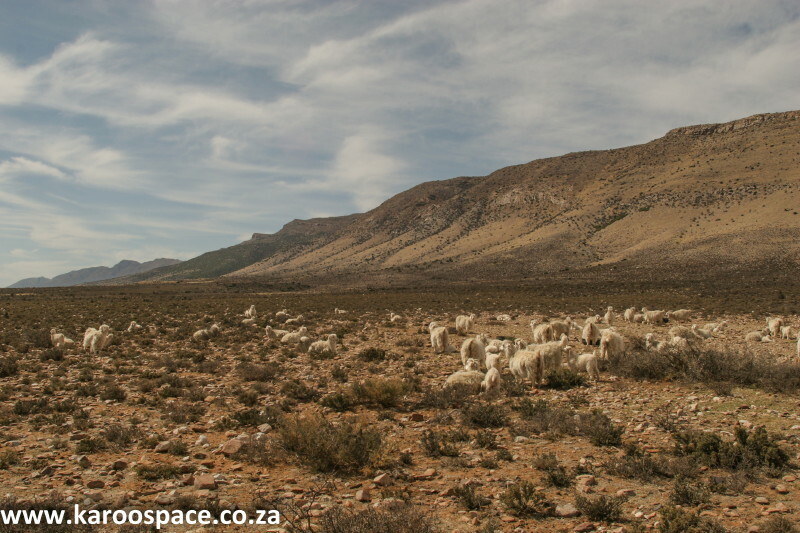 Sheep farming remains the backbone of the Karoo economy, with around 13 million kilograms of wool being sold annually. Calvinia’s museum has one of the best exhibits on sheep farming in the country. It’s where you’ll find a very large stuffed Merino sheep that belonged to Danie Poggenpoel of Bonekraal Farm in the Roggeveld mountains. It went missing in 1972 for a few years – hence its 38cm-long fleece. The museum also has ancient hand clippers, venerable wool presses and a lanolin-soaked classing table, implements still in daily use in most Karoo shearing sheds.